This online archive of Amelia Alderson Opie’s correspondence will provide scholars with a visually dynamic resource, capable of giving texture and richness to period correspondence. Fully annotated letters with live links to supplementary materials alongside social network graphing, will draw attention to a host of people, locations, language use and material culture. Identified variously as an English Jacobin, a post-revolutionary reactionary, a bluestocking authoress, and a Quaker abolitionist, Opie’s life and work offers a unique opportunity to examine unexpected intersections of literary, religious, and political networks, as well as the consequences of such discoveries to current constructions of the long nineteenth century. Opie’s publications span several genres and three literary periods, dating from the end of the eighteenth century through nearly three-quarters of the next century. 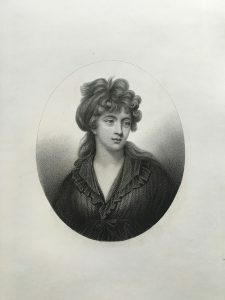 She authored at least three plays (written in the 1790s and no longer extant), seven novels (upon which her “Romantic” reputation tends to rest), four volumes of poetry, five collections of tales (particularly successful during the “Victorian” period), and two didactic works, as well as poems and essays published in popular annuals and periodicals. She composed ballads and sang them with great effect, performed in at least one play that she wrote and delivered one political speech. A prolific and lively correspondent, Opie’s extant papers date from 1794 to 1853, and the recipients are various: many family members (including well-known barristers, physicians and painters) but also radical philosophers, playwrights and proto-feminists; socially prominent bluestockings; novelists and poets; members of parliament, Cambridge dons, abolitionists and social reformers. She has been variously (and often simultaneously) identified as a radical Whig, conservative reactionary, flirtatious bluestocking, pious Quaker. Her voluminous literary output and chameleonic-like transformations over several decades indicate the degree to which she cannily adapted tone and subject matter while remaining an active public figure. The project transforms transcriptions of the correspondence using TEI and XML. The XML letters will be coded in such a way as to generate interpretive graphic visualizations of the texts, with a focus on correspondence networks and distinctive language use. A schema for encoding the letters has been generated, and I have plans for a summer release of a prototype of the digital edition, which uses a subset of 15 letters that exemplify the larger body of correspondence. This project has its genesis in institutional support from UGA’s Office of the Provost and the Willson Center Digital Humanities Lab. 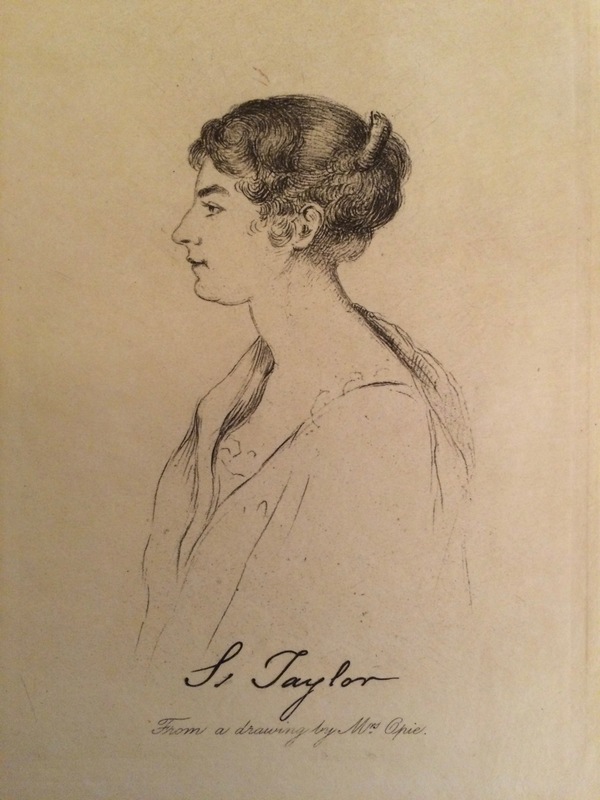 A digital archive of Amelia Opie’s correspondence with Susannah Taylor will be of particular interest to scholars working in revolutionary-era discourse, inclusive of sociability studies and network analysis. Taylor, sometimes referred to as Norwich’s “Madame Roland” held weekly salons that brought together radical thinkers from across the region. The Correspondence of Amelia Alderson Opie by Roxanne Eberle is licensed under a Creative Commons Attribution-NonCommercial-ShareAlike 4.0 International License. Permissions beyond the scope of this license may be available at https://ctlsites.uga.edu/eberle/ameliaopieletters/.